Home > Sport > Football > Jomo Sono: Character Assassination or Financial Abuse? 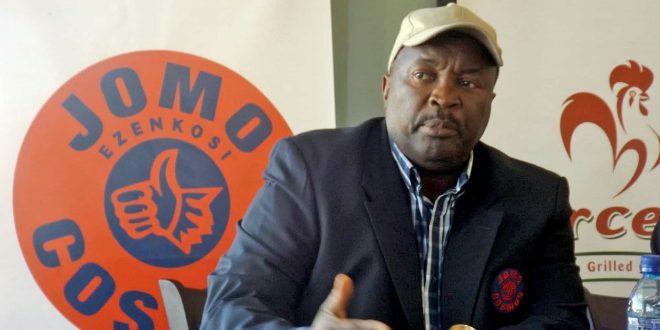 The fear of losing their jobs and being victimized are two of the reasons many Jomo Cosmos players are suffering in silence even though they allegedly haven’t been paid full salaries by South African football club owner Jomo Sono since September last year. Sono admits he owes players money but claims that Clifford Mulenga, who has spoken out about what he terms financial abuse, is guilty of character assassination. Mulenga, on the other hand, has decided that enough is enough, and has finally found the courage to speak up about the financial abuse players are subjected to by Jomo Sono. Mulenga, who is currently a contracted player at Cosmos, has called for players to unite and realize that they are the only ones who can put an end to their misery. According to the former Ajax Cape Town midfielder, players at Cosmos have not received their salaries for months and some of them are struggling to make ends meets, they got kicked out of their residence and can’t afford to buy food in spite of playing for a professional football club. Jomo Sono, known as the black prince, did admit that his club owes players’ salaries but said it was because the club was going through a storm just like any other club. He last paid his players their full salaries in September 2017 and during the month of October players were forced to share a salary. Mulenga said he had to cash the cheque in his name and give half to his teammate. 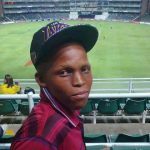 Players were allegedly told by Sono to stay at home and not go to practice if they did not have money. At times the former Bafana Bafana coach would pay his players R1,500 monthly allowances and promised to pay them their full salaries when the team gained promotion to the Premier Soccer League. Known to be a bad boy, Mulenga ended up going to the South African Footballers Players Union (SAFPU) because he was not happy with what was going on at the club – seeing his teammates suffer, coming to practice with an empty stomach, their flats getting locked, as well as landlords switching off their electricity, denying them entry, and players being forced to squat in other people’s houses. Nhlanhla Shabalala of SAFPU said that Cosmos players were locked inside the training premises to prevent them from interacting with the Union with regards to their three months outstanding salaries. He claimed that Sono unlawfully terminated three of his employees’ contracts because they would not keep quiet about the situation. “Jomo has played his part but now it is time for him to step aside and let other investors come in,” said Shabalala. Mulenga claims that he knows players that played for Cosmos three to five years ago who are still owed money by the club. He said he understood that the South African Revenue Service (SARS) closed some of the club’s accounts, and as a result, they are struggling to acquire funds to play players. After failing to gain promotion through the PSL/NFD playoffs, Jomo Sono has sold most of his players. Mulenga stated that the club was relying on the sale of players to pay individuals that are still contracted to Cosmos. “Yes, we have a problem. Yes, we owe them for two months. Some of the players will get their cheques but we are taking this matter to PSL’s Dispute Resolution Chamber (DRC),” said Sono. But at the same time, Sono claims that Mulenga is guilty of character assassination. He said he expected Mulenga to respect him as a father because he’d been like a dad to him. Next: Can Pesticides Designed to Kill Fleas and Ticks Kill Your Dogs?